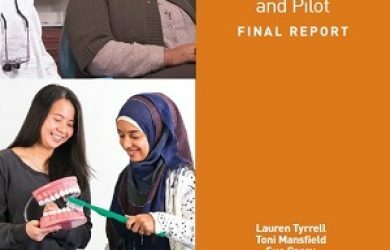 A report of the findings from a qualitative research project to identify the barriers to accessing oral health services for residents of the Flemington Public Housing Estate from the Horn of Africa. Click the button below to read the report. TeethTales is a project run through the McCaughey VicHealth Centre for Community Wellbeing. Click below to download the July 2013 TeethTales Newsletter (Issue 7).